Bunchems – Pirates Theme Pack with Over 200 Pieces, for Ages 6 and Up | Bunchems! Create your own pirate crew with the Bunchems Pirates Theme Pack! Bunchems are the colorful balls that magically bunch together without heat or glue, so you can easily create again and again. 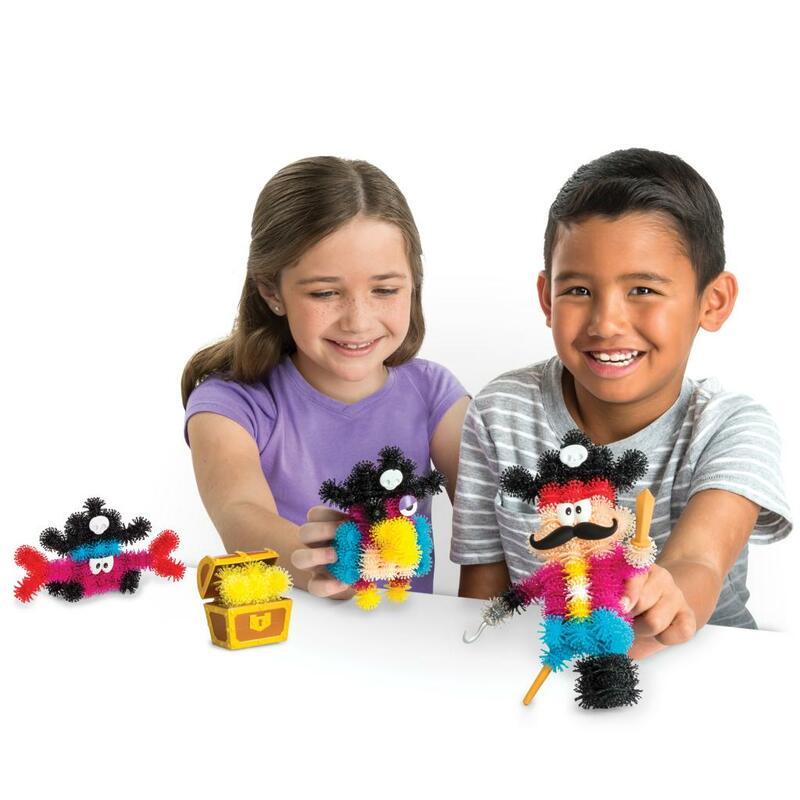 You can squish, connect, and create a one-legged pirate and choose to build the parrot sidekick or a cute crab! 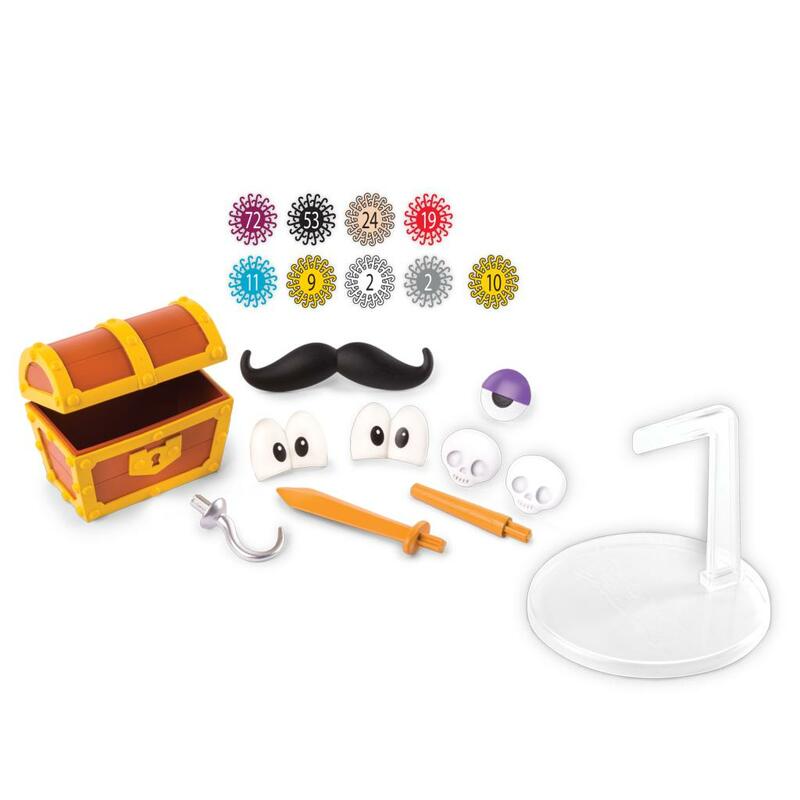 Bring your crew to life with 10 fun accessories like a mustache, sword and hook! The treasure chest accessory is perfect for imaginative play; fill it with the translucent Bunchems and help the pirate guard his gold! Bunchems easily pull apart, so you can create and re-create again and again! 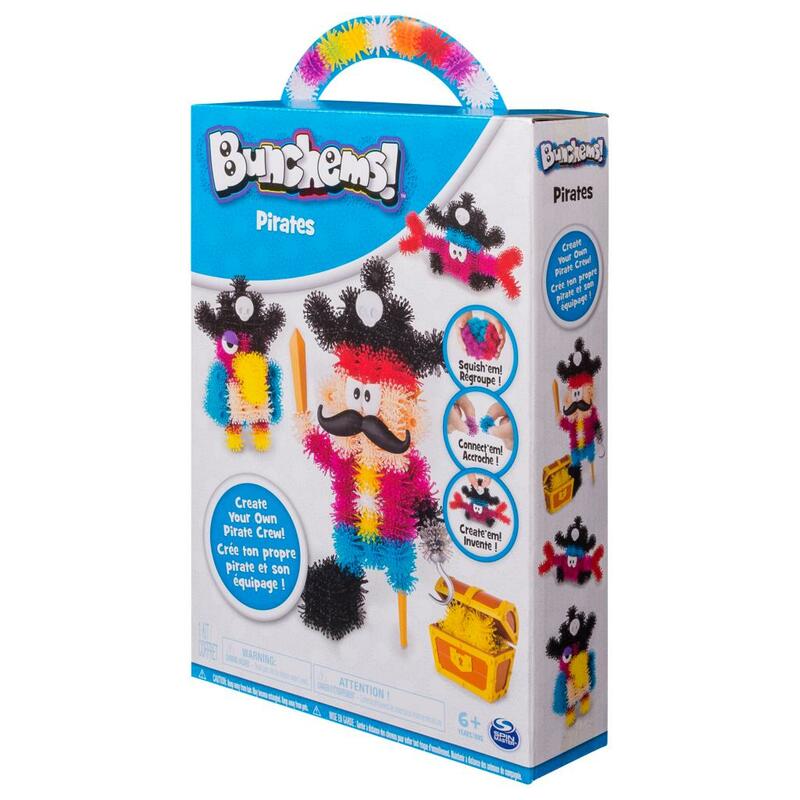 Bunchems is creativity that sticks – walk the plank with the Bunchems Pirates Theme Pack! IMAGINATIVE PLAY: Your imagination will run wild with Bunchems! 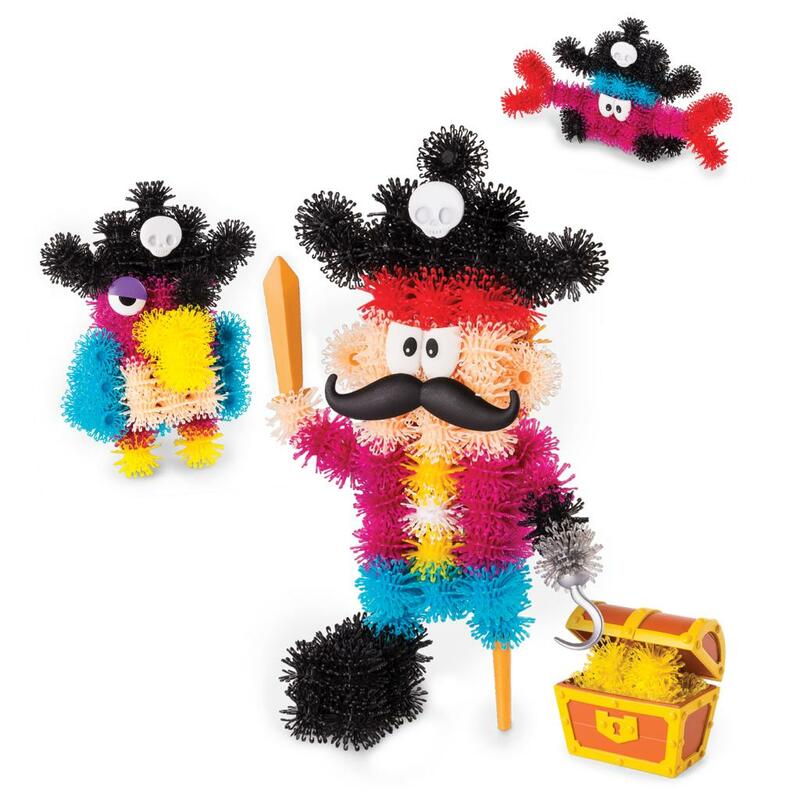 Bring a pirate, parrot and crab to life with 10 fun accessories and over 200 Bunchems, then pull them apart to create again and again! EASILY CREATE: It’s easy to create with Bunchems! Follow the included Guide Book for easy instructions to create the pirate, and choose to build the parrot or crab. Bunchems is creativity that sticks! 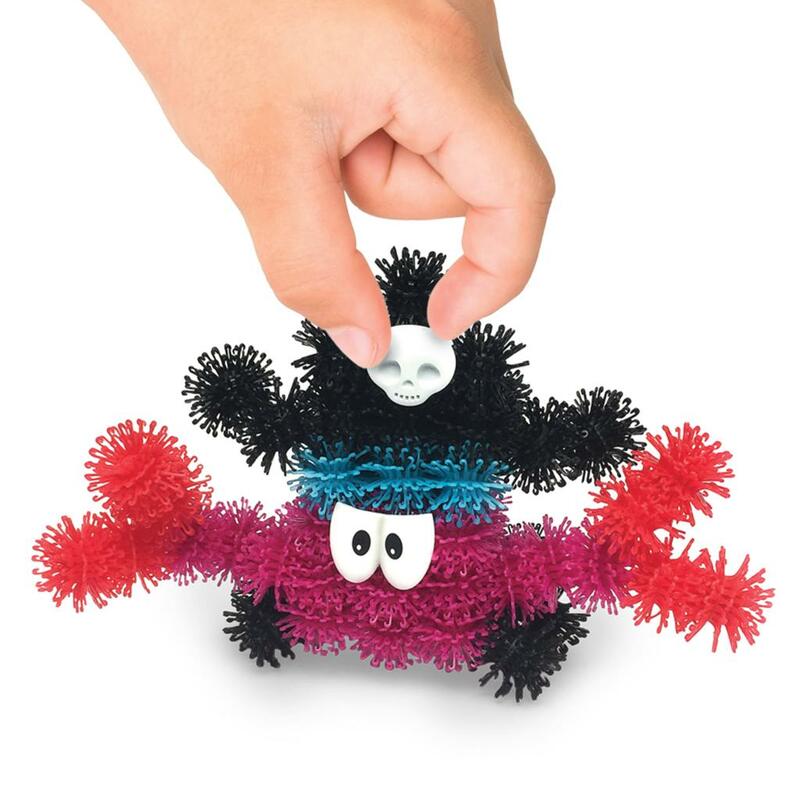 PLAY AGAIN AND AGAIN: Squish, connect and create with Bunchems! They magically stick to each other without heat, glue or mess, making clean up a breeze! They stick and stay and pull apart for endless play! 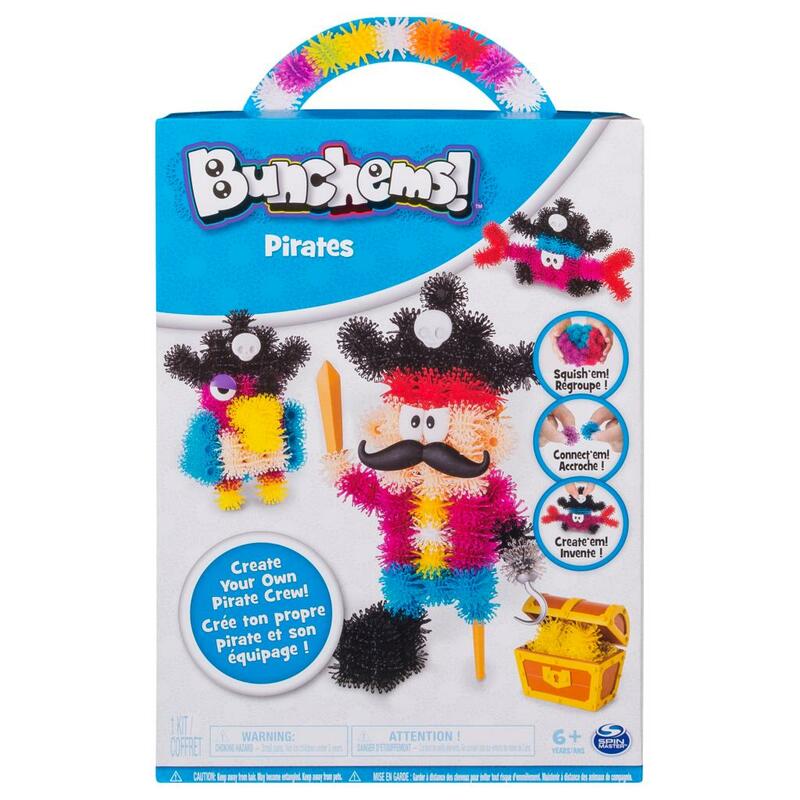 The Bunchems Pirates Theme Pack is an activity toy for kids aged 6 and up. Perfect for creative play, you can build the pirate and choose to build the parrot or crab, and play out finding hidden treasure with the treasure chest accessory!